Many of you will know that the gardeners at the Museum were provided with a new gardeners’ shed and a greenhouse as part of the Museum Development Project. This has provided an excellent platform to maintain the garden, and to propagate and develop the Museum’s own plants from seed to raise important funds as well as plant out in the garden. You will have noticed the huge improvement in a number of areas in the garden over the past year and even this Spring. As the Museum has become independent with the production of plants for the garden, for cuttings and sales, the need for proper cold frames has become pressing. 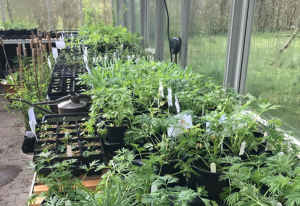 The greenhouse has provided essential space for propagation and development of plants but an area is now needed for proper hardening off and over wintering of plants. The very old cold frame area is beyond repair and has not been used effectively for several years as some components are now too difficult or dangerous to use. So the gardeners have launched a crowd-funding appeal https://localgiving.org/appeal/ColdFrames/ to make this happen. How will the funding you raise be spent? We need to raise £1,400 for nine 6′ x 2′ robust prefabricated cold frame modules to be situated on prepared ground in the Gardeners’ area adjacent to the greenhouse and sheds. An additional £350 is required to allow for preparation of ground to provide level ground secure from wind and pests. 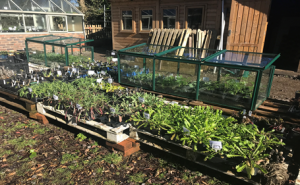 We have some temporary cold frames kindly lent by a garden volunteer which are already being put to good use and provide examples for those that like to see these things in action. There is also a proposed layout plan in the gardeners’ shed for those interested. How the Museum Will benefit? Last financial year, the museum achieved independence with plant propagation and development raising hundreds of plants from seed. 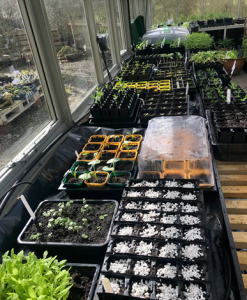 As well as providing heritage plants for the garden and vegetables for the cafe, in the last financial year we sold over 670 plants grown from seed raising important funds for maintaining and developing the garden. The cold frames will release space in the greenhouse to harden off early sowings of hardy annuals and perennials allowing for further and increased plant production. £10 spent on plants in shop raises £10 for the garden. 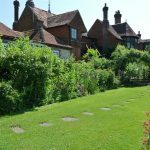 A £10 donation will provide space for plants that may raise £30 a year or more for several years helping build sustainability and resilience of funding to maintain the garden. Please also help us to raise awareness for our appeal by sharing this page with your friends. 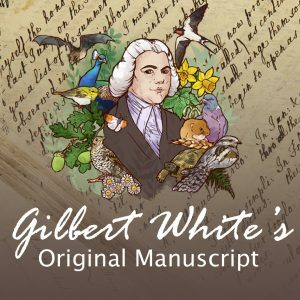 Your ticket for the: Cold Frames for Gilbert’s Garden – Can you help?